The studies on the Islamic view of environment protection and the links between Islamic classical culture and ecology knew recently a notable progress, testified by numerous valuable publications in various languages. The following is a critical bibliography, organised alphabetically, that we conceived of as a guide for the interested reader. It includes references to works published recently in different languages, including Arabic. The publications in Arabic are particularly valuable, as they are hardly known by Western scholars, although some of them deserve to be known. 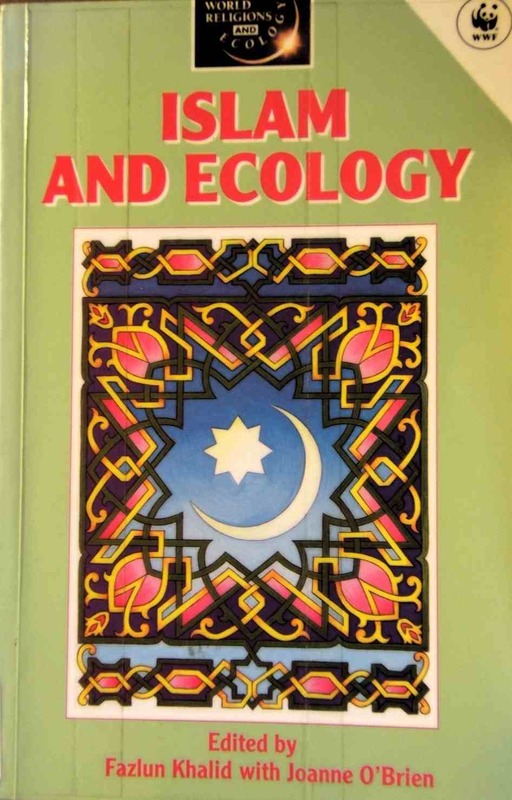 Figure 1: Front cover of Islam and Ecology by Fazlun Khalid and Joanne O'Brien, published by Continuum International in 1992 ((World Religions & Ecology, Paperback). Notable progress occurred in the last decades in the studies on the Islamic view of environment protection and the links between Islamic classical culture and the wide field of ecology. In this context, several dozens of stimulating publications appeared, as results of ongoing research in various languages. To introduce the reader to these works, we prepared a rich critical bibliography. This bibliography, organised alphabetically, was conceived of as a guide for the interested reader. It includes references to works published recently in different languages, including Arabic. The publications in Arabic are particularly valuable, as they are hardly known by Western scholars, although some of them deserve to be known. The idea of this bibliography was suggested by the stimulating commented bibliography published online by Richard C. Foltz, Islam and Ecology: Bibliography (PDF version); Center for the Study of World Religions, Harvard Divinity School, 2003, © 1999-2004 Center for the Study of World Religions and The Forum on Religion and Ecology. We augmented and updated this rich bibliography by other entries and comments. Al-Hassani, Salim, MHAG Meeting at the Royal Society, London: report on the meeting of The Muslim Heritage Awareness Group (MHAG), the consulting network to the Foundation for Science, Technology and Civilisation (FSTC) in 14 July 2009 on "Environment and Muslim Heritage" (published 8 August 2009). Al-Hassani, Salim, 1000 Years Amnesia: Environment Tradition in Muslim Heritage (published 10 September 2009). Mackintosh-Smith, Tim, The Secret Gardens of Sana'a (published 16 March, 2006). – See also related articles on Nature, Agriculture and Town & City. 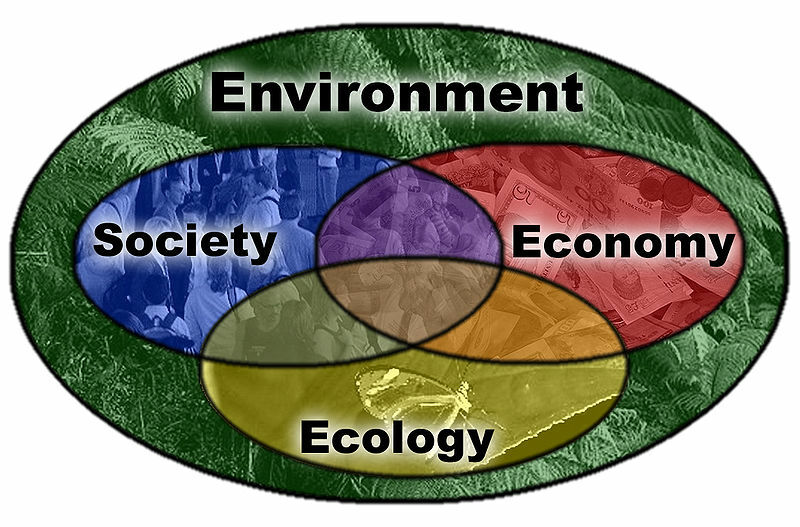 Figure 2: Diagram showing the interaction between ecology, society and economy. (Source). Figure 3: Artistic view of an ideal environment. (Source). Abdel Haleem, Harfiyah (editor), Islam and the Environment. London: Ta-Ha Publishers, 1998. Abu-Sway, Mustafa, Toward an Islamic Jurisprudence of the Environment (Fiqh al-Bi'ah f'il-Islam). Lecture presented at Belfast mosque, February 1998; updated 20 June 1999. Abu-Sway, Mustafa, Islam: The Environment and Health. Qualbert, South Africa: Islamic Medical Association of South Africa, 1999. Aftab, Tahera, "Text and Practice: Women and Nature in Islam." In Custodians of the Earth? Women, Spirituality and the Environment, edited by Alaine Low and Soraya Tremayne. Oxford, UK: Berghahn Books, 2001. This essay links the ethical framework of the Qur'an and the misinterpretation of that framework by males in positions of authority. Though, as the author makes clear, the Qur'an is clear in setting out an ethic of equity and justice for all which has been perverted. The author suggests that Muslim women must regain access to the land and to nature in order to enjoy and attain true freedom. Agwan, A. R., The Environmental Concern of Islam. New Delhi: Institute of Objective Studies, 1992. Ahmad, Ali, "Islamic Water Law as an Antidote for Maintaining Water Quality." University of Denver Water Law Review 2, no. 2 (Spring 1999): 170-88. Ahmad, Ali, A Cosmopolitan Orientation of International Environmental Law: An Islamic Law Genre. Lanham, Md. : University Press of America, 2001. The process of regulation in the field of international environmental law belies the complexity of environmental issues that need to be addressed in managing global environmental resources. Although the regulatory process has succeeded in elevating the acknowledgement of a new set of ideas and concepts toward sustainable development, it has not had success in elevating those concepts into a set of determinative norms or rules. In this book, Ali Ahmad, an international lawyer, stresses the futility of a state-centric approach to a planet-wide phenomenon that the environmental issue presents. Ajmal, Mohammed. "Islam and Ecological Problems." In Quest for New Science, eds. Rais Ahmed and S. Naseem Ahmed, 215–20. Aligarh: Centre for Studies on Science, 1984. Al-Amin, Hi'at Muhammad. Al-fiqhah al-b'at. Beirut: Mu'assasat al-wa ‘i al-islami, 1420 (2000). Al-Hassani, Salim, Chief Editor, 1001 Inventions: Muslim Heritage in Our World, Manchester, FSTC, 2006. Alhilaly, Tajuddin H. "Islam and Ecology", trans. Keysar Trad, 1993. updated n.d. Answers provided by Imam Tajuddin H. Alhilaly, Mufty for Australia (~1993). Translated and some comments added with permission by Keysar Trad. Ammar, Nawal H. "Islam and Deep Ecology." In Deep Ecology and World Religions: New Essays on Sacred Ground, eds. David Landis Barnhill and Roger S. Gottlieb, 193–211. Albany, N.Y.: State University of New York Press, 2001. _______. "An Islamic Response to the Manifest Ecological Crisis: Issues of Justice." In Visions of a New Earth: Religious Perspectives on Population, Consumption, and Ecology, eds. Harold Coward and Daniel C. Maguire, 131– 46. Albany, N.Y.: State University of New York Press, 2000. Utilizing a revelationary methodology, Ammar proposes the concept of hay'a (shyness with reverence and respect) as a guiding principle for Muslim environmental action. She focuses on issues such as Muslim economic and political livelihood, distributive justice, rights of the community over the individual, just leadership, attitudes toward women, and women's relationship to population control. _______. "Islam and the Environment: A Legalistic and Textual View." In Population, Consumption, and the Environment: Religious and Secular Responses, eds. Harold Coward and Daniel C. Maguire, 67. Albany, N.Y.: State University of New York Press, 1995. With no intention to present the Islamic view, Ammar introduces an Islamic ethical paradigm supported by the Qur'an, Hadiths, Sunnah, and Sharia'h. She explains that the meaning of "ethics" can be understood in Islamic terms as hay'a, the state of respect and/or practice of good deeds. Ammar provides clear ethical guidelines regarding natural resources (conservation, sharing, treating with kindness), and protected and preserved land designations. She concludes with the suggestion that any discussion on the environmental crisis should remain sensitive to cultural issues. Asmal, Abdul Cader, and Mohammed Asmal. "As Islamic Perspective." In Consumption, Population, and Sustainability: Perspectives from Science and Religion, eds. Audrey Chapman, Rodney Peterson, and Barbara Smith-Moran, 157–65. Washington, D.C.: Island Press, 2000. Ayduz, Davud. "The Approach to the Environment Question of the Qur'an and its Contemporary Commentary, the Risale-i Nur." Paper presented at the Fourth International Symposium on Bediuzzaman Said Nursi: A Contemporary Approach Toward Understanding the Qur'an: The Example of Risale-i Nur, Istanbul, Turkey, 20–22 September 1998. Originally prepared for the Kingdom of Saudi Arabia in English, French, and Arabic, this document was later considered to have international appeal. Beginning with a description of an Islamic attitude toward the universe and human/nature relations, the document broadens its scope to include topics on conservation of natural resources, protection from harmful impacts of products and processes generated by humans, and viable legislative principles, policies, and institutions. Bagader, Abou Bakr Ahmed, Abdul Latif Tawfik El Shirazy Al Sabagh, Mohamed Al Sayyed Al Glenid, and Mawil Izzi Dien, Islamic Principles for the Conservation of the Natural Environment. 2d ed. Gland, Switzerland: International Union for Conservation of Nature and Natural Resources, 1983. 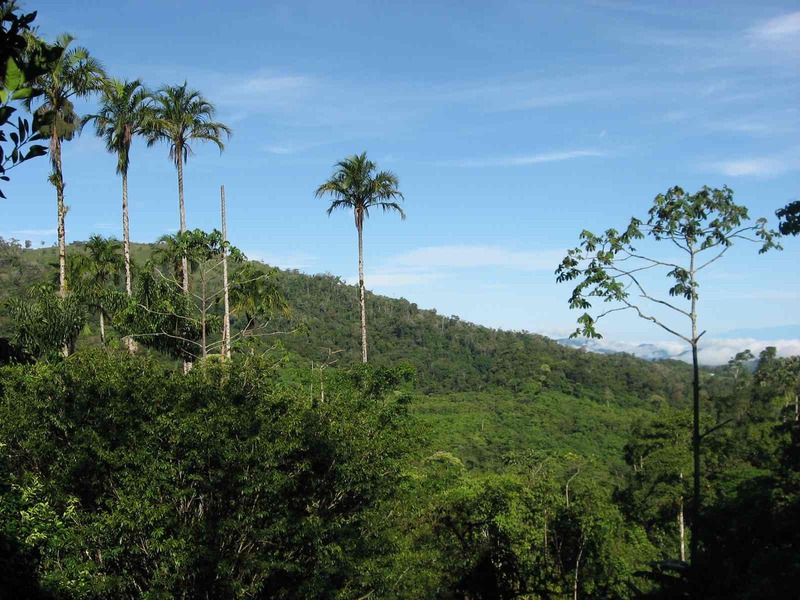 Figure 4: View of a forest. (Source). Bagader, A A, El-Chirazi El-Sabbagh, A, As-Sayyid Al-Glayand, M, Samarrai, M U I, and Llewellyn, O A (1994) Environmental Protection in Islam, IUCN Environmental Policy and Law Paper, 20, second revised edition, Gland, Switzerland. Ba Ubaid, Ali Yeslam. Environment, Ethics, and Design: An Inquiry into the Ethical Underpinnings for a Contemporary Muslim Environmentalism and its Environmental Design Implications. PhD dissertation, University of Pennsylvania, 1999. This dissertation begins with a survey of historical shifts in the idea of nature in Western thought and the frustrations of the prevailing paradigms of modernism. Building on the dynamic nature of Islam as a framework for thought and life, the author then re-constructs some relevant Islamic precepts in support of a higher sensitivity towards nature and environment and still relevant to contemporary living. The final product of the study depicts actual and potential applications for the aforementioned set of ecological design principles and themes in the recent experience of Riyadh, Saudi Arabia. The conclusions point out a future direction for local environmental design thinking and practice. A collection of thirteen new essays on the relationship between world religions and deep ecology. In examining how deep ecologists and the various religious traditions can both learn from and critique one another, the following traditions are considered: indigenous cultures, Hinduism, Buddhism, Taoism, Confucianism, Judaism, Catholicism, Islam, Protestantism, Christian ecofeminism, and New Age spirituality. Contributors include Nawal Ammar, David Landis Barnhill, John E. Carroll, Christopher Key Chapple, John B. Cobb Jr., Roger S. Gottlieb, John A. Grim, Eric Katz, Jordan Paper, Rosemary Radford Ruether, Mary Evelyn Tucker, and Michael E. Zimmerman. Bivins, Mary W. Women, Ecology, and Islam in the Making of Modern Hausa Cultural History. PhD dissertation, Michigan State University, 1994. A study of Islamic Hausa women in the West African Republics of Nigeria and Niger from the 1800s to the present, and the unique roles they played in shaping, even at times defining, modern Hausa culture. The dissertation concludes that the blending of Hausa notions of gender, ethnicity and Islam empowered Hausa women's participation in the economic transformation of the nineteenth century Hausa landscape and the Hausa response to European conquest. The historical connections between women, gender, ethnicity and Islam are essential to understanding the influence of the past on the present in Hausa culture and political movements. Bousquet, G. "Des animaux et de leur traitement selon le Judaisme, le Christianisme et l'Islam." Studia Islamica 9 (1958): 31–48. Bousquet distinguishes the religions of the Far East and India from those of the West by virtue of their understanding of human and animal nature. However, while there are fundamental similarities among the Western religions, Bousquet states that there can be large differences in their details. He draws on the legal, scriptural, and philosophical texts of the Jewish, Christian, and Islamic traditions in order to support his observation that Christianity has less to say about the treatment of animals than either Islam or Judaism. This article explores the history of the "Religion, Science, and The Environment" initiative in the Easter Mediterranean/Black Sea region, which dates to 1988. This initiative brings Jews, Muslims, and Christians (Orthodox, Catholic, and Protestant), and environmental scientists together to discuss how best to protect and rehabilitate the ecosystem of the Black Sea (and the Rivers that feed into it, especially the Danube). This article focuses on the outcome of the September 1997 conference, at which a set of principles for protecting the Black Sea was articulated. Busool, Assad N., Animal Rights and Ecology in Islam (The Guidance of the Sirah Series, Volume 3). (Al Huda, 1995, paperback). Callicott, J. Baird. "The Historical Roots of Western European Environmental Attitudes and Values: Islam." In Earth's Insights: A Multicultural Survey of Ecological Ethics from the Mediterranean Basin to the Australian Outback, 30–36. Berkeley, Calif.: University of California Press, 1994. Analyzed in terms of the despotic, stewardship, and citizenship models introduced by Callicott, Islam is found to be "unambiguously" anthropocentric. In this short section, he focuses on one tenth-century manuscript, The Case of the Animals versus Man Before the King of the Jinn, in order to demonstrate its environmental ethic based on an Islamic understanding of humankind's rule over the earth guided by virtues of obedience to God, good character, and good works. Canan, Ibrahim, "Environment in Islam." Yeni Turkiye 5 (July-August 1995): 27–38. Canatan, Kadir. "The Paradigmatic Background to the Ecological Crisis and Said Nursi's Cosmological Teachings." Paper presented at the Fourth International Symposium on Bediuzzaman Said Nursi: A Contemporary Approach Toward Understanding the Qur'an: The Example of Risale-i Nur, Istanbul, Turkey, 20–22 September 1998. Chittick, William. "God Surrounds All Things: An Islamic Perspective on the Environment." The World and I 1, no. 6 (June 1986): 671–78. Damad, Mostafa Mohaghegh. "A Discourse on Nature and Environment from an Islamic Perspective." Tehran: Department of the Environment, 2001. Denny, Frederick M., Islam and Ecology: A Bestowed Trust Inviting Balanced Stewardship. Accessed 9.09.2008 on the website of the Forum on Religion and Ecology: Revisioning Human-Earth Relations. To access this article follow the following path: Enter site/World religions/Islam. Dutton, Yasin. "Islam and the Environment: A Framework for Inquiry." Faiths and the Environment: Conference Papers, 46-70. Faith in Dialogue, no. 1. London: Centre for Inter-Faith Dialogue, 1996. Eaton, G. Islam and the Destiny of Man, Islamic Texts Society, Cambridge, 1994. Erdur, Oguz. "Reappropriating the ‘Green': Islamist Environmentalism." New Perspectives on Turkey 17 (fall 1997): 151–66. Erdur demonstrates how the American environmental movement began as a radical critique of Western modernity and was subsequently absorbed into it. He proceeds by illustrating how the struggle against Western modernity and its secular values is actually at the root of the Turkish Islamist environmental agenda. He provides an analysis of both the Islamist stance on overconsumption and population control as well as their proposed collectivist counter-economics which he finds in direct response to Western capitalism. This edited volume presents Islamic perspectives on a number of proposed water-management policies, including water demand management, wastewater reuse, and fair pricing. The book adds to our knowledge of some of the influences on formal policy and informal practice, and makes these ideas available to a broader public. It dispels common misconceptions about the Islamic view on water-management practices, and serves as a concrete example of the benefit of examining development in the context of values and culture. Contributors Include: Odeh Al-Jayyousi, Hussein Amery, Walid Abderrahman, and Dante Caponera. The book can be found online here. Fazlul, Khalid, O'Brien, Joanne, Islam and Ecology (World Religions and Ecology Series). New York: Cassell, 1992. This volume includes a significant number of Qur'an and Hadiths references illustrating Islam's spiritual perspective on nature. Other topics include: ethics and the environment, science, natural resources, trade, commerce, desert reclamation, and notions of conservation in Islamic texts/practices. Fazlul, Khalid, et al., Islam and the Environment. London: Ta-Ha Publishers, 1999. Fazlun M Khalid, Islam and the Environment, in Encyclopedia of Global Environmental Change, edited by Peter Timmerman. John Wiley & Sons, Chichester, 2002. Vol. 5: Social and Economic Dimensions of Global Environmental Change, pp 332–339. Fazlul, Khalid, Editor-in-Chief, Qur'an: Creation and Conservation. Birmingham: IFEES, 1999. Findly, E. "Jahangir's Vow of Non-Violence." Journal of American Oriental Society 107, no. 2 (1987): 245–56. Foltz, Richard C., "Is There an Islamic Environmentalism?" Environmental Ethics 22, no. 4 (2000): 63–72. Foltz briefly outlines the scriptural foundation for an Islamic environmentalism and proceeds directly into a critique of the Islam subsection of the World Religions and Ecology conferences held at Harvard Divinity School's Center for the Study of World Religions. He finds the majority of Muslim scholars more focused on social rather than environmental injustices. Giving examples of environmental legislation implemented by the governments of Saudi Arabia, Iran, and Pakistan in order to illustrate the Islamic tradition of aql (rational intelligence), Foltz contrasts this litigation with what he observes as unbalanced and passive responses of tawakkul (trust in Allah) to the present environmental crisis experienced by Muslims in other parts of the world. This edited volume, part of the World Religion and Ecology Series, presents a series of 23 essays reinterpreting Islam from an environmental perspective. Many essays draw on the idea of "vice regency" and connect the Islamic understanding of "justice" with ecological concerns. Sections include: "God, Humans and Nature", "The Challenge of (Re)interpretation", "Environmental and Social Justice", "Toward a Sustainable Society", and "The Islamic Garden as Metaphor for Paradise." Contributors include: Abrahim Ozdemir, L. Clarke, Saadia Khawar Khan Chishti, Seyyed Hossein Nasr, S. Nomanul Haq, Nawal Ammar, and Farzaneh Milani. Foltz, Richard C., Worldviews, Religion, and the Environment. Belmont, CA: Thomson/Wadsworth, 2003. This anthology explores current environmental and ecological issues amidst the various worldviews, cultures, and traditions that constitute the world's major religions. Part one presents the global conceptual landscape with selections that focus on the spiritual and environmental crises associated with modernity. Part two distills all of the major world religions' perspectives--Eastern, Western, and newly emerging--on contemporary ecological issues. Part three rounds out this collection with an exploration of other cross-cutting motifs in today's enviro-cultural criticism, including radical environmentalism, ecofeminism, ecojustice, and the rising voice of the Global South. Foltz, Richard C., Islam and Ecology: Bibliography, Center for the Study of World Religions, Harvard Divinity School, 2003 (PDF version), © Center for the Study of World Religions and The Forum on Religion and Ecology, 1999-2004. Foltz, Richard C. (ed. ), Environmentalism in the Muslim World. New York, NY: Nova Science Publishers, 2005. This edited volume provides an overview of how Muslim activists are responding on the ground to the global environmental crisis. Chapters by Muslim environmentalists survey environmental initiatives in Egypt, Turkey, Iran, Pakistan, Nigeria, and Malaysia. Issues are detailed pointing out both successes and failures and describing the unique challenges facing the world's very diverse Muslim societies in striving to balance development and social justice with preserving the integrity of the earth's life support systems. Contributors include: Ibrahim Özdemir, Safei al-din Hamed, Ali Raza Rizvi, Ali Ahmad, Fazlun Khalid, and Ayman Ahwal. Foltz, Richard, "Ecology and Religion: Ecology and Islam", entry from Encyclopaedia of Religion (Macmillan Reference, USA), 2005, 4 pp. Gottlieb, Roger S. (editor), The Oxford Handbook of Religion and Ecology (Oxford Handbooks). (Oxford University Press, 2006, hardcover). Foltz, Richard. Foltz, Richard. Animals in Islamic Traditions and Muslim Cultures. Oxford, UK: Oneworld Publications, 2006. This is the first comprehensive study of the role of animals in the Islamic tradition. Drawing on a wide range of sources, including classic texts in philosophy, literature and mysticism, Foltz traces the development of Islamic attitudes towards animals over the centuries and confronts some of the key ethical questions facing Muslims today. Forward, Martin, and Mohamed Alam, "Islam." In Attitudes to Nature, eds. Jean Holm and John Bowker, 79–100. London: Pinter, 1994. This chapter is an introduction to an Islamic understanding of sacred order, the anthropocentrism of Islam, and the notion of nature's temporality. Forward and Alam emphasize the Qur'anic revelation that all creation is a sign of Allah and essentially Muslim (submitted to Allah). Other topics include: the spirit-world, science, rights of ownership, human vicegerency, and Allah's sovereignty. Gürsel, D. Evresizsiniz (You Are Environmentless). Istanbul: Insan Yayincilik, 1989 (in Turkish). Hamed, Safei El-Deen. "Seeing the Environment Through Islamic Eyes: Application of Shariah to Natural Resources Planning and Management." Journal of Agricultural and Environmental Ethics 6, no. 2 (1993): 145–64. Haq, S. Nomanul. "Islam." In A Companion to Environmental Philosophy, ed. Dale Jamieson, 111–29. London: Blackwell, 2001. Hashem, Mazen. "Contemporary Islamic Activism: The Shades of Praxis." Sociology of Religion 67.1 (Spring 2006): 23-41. This is an anthology of spiritual perspectives on nature and the environment, highlighting the human role in honoring and maintaining the balance. While themes from the Qur'an introduce each chapter, it also includes the wisdom of other faith traditions. Part One looks at the "Basic Principles" of Unity, Interdependence, Power & Beauty, Communication, Adaptability, Creativity & Transformation, Endurance & Rejuvenation. Part Two includes sections on the Four Elements and The Communities (Species) of Life. The Final Section is "Caring for God's Creation." Hope, Marjorie, Young, James, Islam and Ecology, Cross Currents, Summer 1994, vol. 44, Issue 2: 180-193. This article explores the work done in Islam and Ecology by Seyyed Hossein Nasr. Nasr argues that any Environmental understanding founded in Islam must include: the notion of transcendence, a correspondence between the microcosm and macrocosm, a critique of the dogma of Darwinian evolution (which he argues destroys any notion of nature as sacred), a critique of fundamentalist versions of Islam, and a better understanding of the human place in nature through the concept of vice regency. Finally the authors compare Nasr's ecological "way" with that of Thomas Berry. Husaini provides a brief background on the role of revelation and reason in the Qur'an linking each with systems of personal and social ethics as well as with shari'a (revealed) and fiqh (substantive) law. He proceeds to focus in detail on the relationship of environmental engineering systems planning with Islamic philosophy of knowledge and education, jurisprudence, state and comparative politics, and welfare economics. Husaini concludes by evaluating the possibility of a socio-cultural rejuvenation of developing Muslim countries with regard to primary values found in shari'a and secondary values provided by fiqh, thereby suggesting that a humanistic-social science component derived from an Islamic ideological perspective be included in engineering education. Idris, Jaafar Sheikh. "Is Man the Vicegerent of God?" Journal of Islamic Studies 1 (1990): 99–110. Goodman's thorough introduction to this translation shows how contemporary concepts such as ecosystems, eco-niche, succession, and interdependence are hidden in this moral tale about animals' dissatisfaction with the actions of humankind. He also provides the historical background and philosophical underpinnings of the Brethren of Purity. Izzi Dien, Mawil. "Islamic Theology and the Environment", Journal of the Faculty of Arts, King Abdul Aziz University, vol. 4, 1984, 35-43. _______. "Islamic Legal Ethics & the Environment". In Ethics of Environment and Development, edited by J. R. Engel. London: Belhaven Press, 1990, 189-198. _______. "Islamic Ethics and Ecology", in Islam and Ecology, edited by Fazlun Khalid & Joan O'Brien. London: Cassel, 1992, 25-36. _______. "Environmental Protection in Islam", second revised edition of the Islamic Principles for the Conservation of Natural Environment, first published in 1983. IUCN Publication Service-Cambridge and Dieter Muller-Germany (in English, French & Arabic), 1994. _______. "Islam and the Environment: Theory and Practice." Journal of Beliefs and Values 18, no. 1. (1997): 47–58. _______. "Islamic Environmental Ethic, Law, and Society." In Ethics of Environment and Development: Global Challenge and International Response, eds. J. Ronald Engel and Joan Gibb Engel, 189–98. Tucson, Ariz.: University of Arizona Press, 1990. Izzi Dien illustrates an environmental strategy found within the relationship between Islamic ethics and law. After giving eight reasons for protecting the environment, he discusses the traditional Islamic land and resource management practices of hima and harim. He concludes by stressing that humankind is a "maintainer" and not an "owner" of creation and by urging that environmental education be offered with attention to both science and Islamic belief. _______. The Environmental Dimensions of Islam. Cambridge: Lutterworth Press, 1997 (hardcover). _______. The Environmental Dimensions of Islam. Cambridge: Lutterworth Press, 2000, 2nd edition. Given that "environmental ethics" is often seen as a Western import in the Muslim world, this book develops an Islamic understanding of environmental issues based upon the Qu'ran and Hadith. The author argues that the concepts of hima [protected zones], shumul [comprehensiveness], tarazan [balance], waqi'iyya [positivism], and "purity in all things," provide support for the conclusion that Islam teaches an inherent respect for nature. _______. "Islamic Environmental Ethics, Law and Society", in Ethics of Environment and Development, edited by J.R. Engel & J.G. Engel. London: Belhaven, 1990, pp. 189-198. _______. "Islam and the Environment: Theory and Practice", Journal of Beliefs and Values 18, no. 1. (1997): 47–58. _______. "Islam and Environment", in Richard C. Foltz and Fredrick M. Denny, Islam and Ecology a Bestowed Trust, Harvard University Press, 2003, 108-120. _______. " Towards An Islamic Concept for Sustainable Development: Theory and Practice, The Islamic Quarterly issue, 2007, 265-85. _______. "Islamic Concepts of Creation and Environmental Sustainability", in Prof. Neil Spurway, Creation and Abrahamic Faiths; Cambridge Social Publishing; Cambridge, 2008, 119-135. _______. "Climate change in different faith traditions: A global perspective", Interfaith Climate Summit Uppsala 28-29 November 2008. _______. Ecological Value, Interfaith Climate Summit Uppsala 28-29 November 2008. _______. "Towards an Islamic Eco Labelling", The Foundation for research in Islamic Sciences, Istanbul, 2009, 96-106. Johnston, David. "Toward Muslims and Christians as Joint Caretakers of Creation in a Postmodern World." Ph.D. diss., Fuller Theological Seminary, 2001. This dissertation develops a Muslim-Christian theological discourse about humanity and creation. A first section makes explicit issues surrounding the transition from modernity to postmodernity. The second section presents quranic data surrounding the vision of humankind as God's mandated trustee of creation and then looks to the Bible's understanding of the imago. The Genesis account of humanity's dominion over the earth and their creation in the image of God neatly parallels the quranic concept of the human caliphate. The third section deals development theory, finding that whereas the goal of "sustainable development" is inevitable to some extent, "earth community" is a more appropriate paradigm. In concluding, the author suggests that working on these problems together, Muslims and Christians will find common ground. Kaplan, Jeffrey. "Review of Mawil Izzi Dien's The Environmental Dimensions of Islam." Worldviews: Environment, Culture, Religion 5, no. 1 (2001): 110–12. Khalid, F M. Qur'an, Creation and Conservation, Islamic Foundation for Ecology and Environmental Sciences, Birmingham, 1999. _______. Islamic Pathways to Ecological Sanity: An Evaluation for the New Millennium, Ecology and Development, J. Inst. Ecol., 3, Bandung, Indonesia, 2000. Kilic, Sadik. "The Message of the Risale-i Nur in the Ecological Context." Paper presented at the Fourth International Symposium on Bediuzzaman Said Nursi: A Contemporary Approach Toward Understanding the Qur'an: The Example of Risale-i Nur, Istanbul, Turkey, 20–22 September 1998. Kula, Erhun, "Islam and environmental conservation", Environmental conservation (Cambridge University Press ), 2001, vol. 28, no1, pp. 2-9. Llewelyn, Othman. "Desert Reclamation and Conservation in Islamic Law." The Muslim Scientist 11, no. 9 (1982): 9–29. Manzoor, S. Parviz. "Environment and Values: An Islamic Perspective." In Touch of Midas Scientific Values and the Environment in Islam and the West, ed. Ziauddin Sardar, 150–70. Manchester: Manchester University Press, 1984. Masri, Al-Hafiz. Islamic Concern for Animals. Petersfield, Hants, England: The Athene Trust, 1987. While lamenting the fact that scripture in all religions has ceased to be taken seriously, Masri utilizes Qur'an and Hadiths extensively. Drawing particular attention to animal consciousness, Masri suggests that animal consciousness, although not like human consciousness, is significantly more than simply instinct and intuition. Masri also elaborates on other important concepts such as the "homogeneous organism" of life and "joint tenancy." This text is provided in both English and Arabic. _______. "Animal Experimentation: The Muslim Viewpoint." In Animal Sacrifices: Religious Perspectives on the Use of Animals in Science, ed. Tom Regan, 171–98. Philadelphia, Pa.: Temple University Press, 1986. Masri addresses the moral implications of the religious claim that humans are the apex of value in the world. His essay reflects on animal psyches and communities, humanity's place in the order of species, and animal welfare (e.g., the preservation of species, fair share in natural resources, Islamic law, traditional slaughter, cruelty to animals, and pain and disfigurement in animal experimentation). Meier, Fritz. "The Problems of Nature in the Esoteric Monism of Islam," trans. R. Mannheim. In Spirit and Nature: Papers from the Eranos Yearbooks, ed. Joseph Campbell, 149–203. New York: Pantheon, 1954. Musaji, Sheila (compiler). 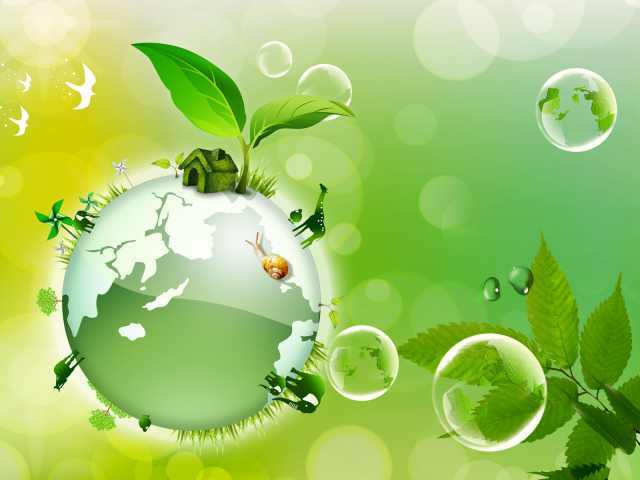 Environment & Ecology in Islam - TAM article collection - updated 4/19/12. Nasif, Abdullah Omar. "The Muslim Declaration of Nature." Environmental Policy and Law 17, no. 1 (1987): 47. Nasr, Seyyed Hossein. Man and Nature: The Spiritual Crisis in Modern Man. Rev. ed. Chicago, Ill.: Kazi Publishers, 1997. Based on his University of Chicago lectures (1966), this book describes how the positivist tradition has de-ontologized science. Nasr provides a history of the environmental crisis, its intellectual and historical causes, the metaphysical principles of nature, and their application to the contemporary situation. He emphasizes the possibility of remaining true to revelation while also meeting the rigorous demands of intellectual pursuit. Compiled from the University of Birmingham's Cadbury Lectures (1994), this book gives a historical critique of the orientations toward nature found within world religions and various Western philosophical traditions. Nasr stresses that studying across religious frontiers has the potential to enrich and/or remind one of the sacred encounter with nature. ________. "Islam and the Environmental Crisis." In Spirit and Nature, eds. Steven C. Rockefeller and John C. Elder, 83–108. Boston: Beacon Press, 1992. Taken from an address given at the Middlebury College "Spirit and Nature Symposium" (1990), this text argues that religion has both an ethical and intellectual component. Succinctly elucidating the history of scientific method in both Western and Islamic scholarship, Nasr suggests that the environmental crisis can only be cured through the spiritual healing of humankind. ________. "The Ecological Problem in Light of Sufism: The Conquest of Nature and the Teachings of Eastern Science." In Sufi Essays. 2d ed., ed. Seyyed Hossein Nasr, 152–63. Albany, N.Y.: State University of New York Press, 1991. Nasr argues that Islam has served as an intermediary between Western and Eastern epistemologies. This conjunction of thought, expressed best in the Sufi tradition, provides the basis for a qualitative/quantitative science that Nasr believes would unveil the unicity and interrelationship of nature, thereby providing potential solutions to the ecological crisis. ________. "Islam and the Environmental Crisis." The Islamic Quarterly 34, no. 4 (1991): 217–34. ________. "Islam and the Environmental Crisis." Journal of Islamic Science 6, no. 2 (1990): 217–34. Othman, Fadil, and Johan Sohaili. "Man's Duty to Protect the Environment." The New Straits Times, 10 December 1998, 2. Ozdemir, Ibrahim. "Bediuzzaman Said Nursi's Approach to the Environment." Paper presented at the Fourth International Symposium on Bediuzzaman Said Nursi: A Contemporary Approach Toward Understanding the Qur'an: The Example of Risale-i Nur, Istanbul, Turkey, 20–22 September 1998. This book draws extensively upon joint World Bank and ARC/WWF projects worldwide. It shows, through stories, land management, myths, investment policies, legends, advocacy and celebration, the role the major faiths play in ecological well-being. The book explores issues of climate change, forestry, asset management, education and biodiversity protection and does so using the techniques of the great faiths - storytelling, example and celebration. Part II offers "Faith Statements on Ecology" by many of the world's religious traditions. The challenge of living with integrity in a pluralist world underlies the book and it offers models of how diversity is crucial in attempting to ensure we have a sustainable world. Peirone, Federico. "Islam and Ecology in the Mediterranean Muslim Kulturkreise." Hamdard Islamicus 5, no. 2 (1982): 3–31. ________. "The Ecology Debate Among Muslim Intellectuals in Turkey." Les Annales de l'Autre Islam 6 (1999): 195–209. Rafiq, M., and Mohammad Ajmal. "Islam and the Present Ecological Crisis." In World Religions and the Environment, ed. O. P. Dwivedi, 119–37. New Delhi: Gilanjal Publishing House, 1989. Rahman, M. K. "Environmental Awareness in Islam." MAAS Journal of Islamic Science 2, no. 1 (1986): 99–106. Raskhy, Fruzan. "Ertebat-e ensan va tabi'at az negah-e eslam va Ayin-e Da'o" (The Relationship between Man and Nature in Islam and Daoism). Haft Asman 1, no. 2 (1387/1999): 87–117. Sajoo, Amyn. Muslim Ethics: Emerging Vistas. London: Institute for Ismaili Studies, 2004. Recent political and social events as well as advances in science and technology have posed challenges to the traditional Muslim discourse on ethics. In this book produced by the Institute of Ismaili Studies, the author examines these challenges, and through a critical analysis of the implications of emerging initiatives in political pluralism and civic culture, in bio-medicine and environmental conservatism, considers how the contours of public ethics in Islam may be redefined to provide shared conceptions of the good in pluralist societies. This edited volume is divided into two sections: thought and epistemology, and science and the environment. After questioning the epistemological and methodological foundations of modern natural and social sciences, Sardar proposes an Islamization of knowledge that would help develop conceptual categories and values from within Islam. Other essays include: S. Parvez Manzoor, on the crisis of Muslim thought and the future of the Ummah (Muslim community); Seyyed Hossein Nasr, on Islam and the problem of modern science; Hussein Mehmet Ateshin, on urbanization and the environment, and Ayyub Malik, on the recent history and possible future of Muslim cities. ________. "Toward an Islamic Theory of the Environment." In Islamic Futures: A Shape of Ideas to Come, ed. Ziauddin Sardar, 224–37. London: Mansell, 1985. This book consists of 25 essays dealing with the environmental knowledge and beliefs of cultures outside of the United States and Europe. In addition to articles surveying Islamic, Chinese, Native American, Aboriginal Australian, Indian, Thai, and Andean views of nature and the environment, among others, the book includes essays on Environmentalism and Images of the Other, Traditional Ecological Knowledge, Worldviews and Ecology, Rethinking the Western/non-Western Divide, and Landscape, Nature, and Culture. The essays address the connections between nature and culture and relate the environmental practices to the cultures which produced them. Shankland provides a thorough historical background of how Islam functions politically, institutionally, and legislatively in secular Turkey. More specifically, Shankland follows the rise and fall of Erbakan, the leader of the widely-supported Islamist party, as well as other minority groups such as the Alevis and various tarikats (religious orders). This book provides insights into environmental issues through its exploration of the complex relationship between morality, religious and secular agendas, and policy implementation. Stewart, Philip J. "Islamic Law as a Factor in Grazing Management: The Pilgrimage Sacrifice." In Proceedings of the First International Rangeland Congress, Denver, Colorado, August 14–18, 1978, ed. D. N. Hyder, 119–20. Denver, Colo.: Society for Range Management, 1978. Stewart searches for a religiously informed management strategy which would relieve the stress of large flocks of livestock on sensitive lands during Muslim holy times. He describes contemporary problems such as: the lack of diversity in livestock due to a focus on the numbers of sacrificial animals, the problems of human population increase coupled with the breakdown of extended families producing more heads of household and therefore more stock per unit area, and the expansion of grazing lands into forests and agricultural lands. Stewart concludes by offering technical solutions such as improving range management, reducing flock size to only sacrificial animals, improved marketing, and conserving meat to spread out the period of availability. He also suggests religious solutions, however admittedly out of his field, by drawing on the Qur'an, Hadiths, and the history of Islamic law in which he finds the possibility of reducing the number of people obligated to make an animal sacrifice under Qur'anic law. Timm, Roger E. "The Ecological Fallout of Islamic Creation Theology." In Worldviews and Ecology, eds. Mary Evelyn Tucker and John A. Grim, 83–95. Lewisburg, Pa.: Bucknell University Press, 1993. Timm asserts that the sovereignty of Allah in Islamic creation theology is fundamental to any hermeneutic on the role and duties of human vicegerency (stewardship). He challenges the widespread opinion that monotheistic creation theologies implicitly support exploitation of the environment. He finds that socioeconomic and colonial factors, such as poverty and the influx of Western science and technology with its concomitant secularization, account for environmental degradation found in contemporary Islamic countries. Tolu-e-Islam Movement. Chapter 18: Man and His Environment. In Islam: A Challenge. Lahore: Tolu-e-Islam, 2000. Updated 15 August 2001). Wellman, David J. Sustainable Diplomacy: Ecology, Religion, and Ethics in Muslim-Christian Relations. New York: Palgrave Macmillan, 2004. Wersal, Lisa. "Islam and Environmental Ethics: Tradition Responds to Contemporary Challenges." Zygon 30, no. 3 (1995): 451–59. Wersal surveys ecological works written by Muslim scholars in order to demonstrate the centrality of Qur'an and Sunnah in the Islamic decision-making process. She cites Islam's emphasis on community and consensus and the synthesis of fact and value in traditional Islamic science as potential paradigms for a world community that faces mounting global environmental challenges. Wescoat, James L., Jr. "Muslim Contributions to Geography and Environmental Ethics: The Challenges of Comparison and Pluralism." In Philosophy and Geography I: Space, Place, and Environmental Ethics, eds. Andrew Light and Jonathan M. Smith, 91–116. Lanham, Md. : Rowman and Littlefield, 1997. _______. "The ‘Right of Thirst' for Animals in Islamic Law: A Comparative Approach." Environment and Planning D: Society and Space 13, no. 6 (1995): 637–54. Wescoat outlines the doctrinal underpinnings of the "right to thirst" in Islamic law by utilizing traditional terminology found in the Qur'an, hadiths, and fiqh (jurisprudence) about pollution and purity, as well as historical precedents set in the seventh to the eighth century CE. He highlights the themes of Allah's beneficence, creaturely dependence on Allah, and the moral imperative for humans to recognize these facts in Islamic law, and examines their relevance in Pakistan and Colorado. With his comparative approach, Wescoat argues that it will be difficult to implement Islamic law in Pakistan due to its colonialist history and politics. Wescoat also suggests that the moral depth of Islamic law can provide a way for Colorado residents to assess the adequacy of their own water laws. _______. "From the Gardens of the Qur'an to the Gardens of Lahore," Landscape Research 20 (1995): 19–29. Observing the emphasis in Mughal studies on the physical attributes of gardens and paradise, Wescoat hopes to further the study of landscape and religion with his exploration of the relationship between aesthetics and theology. Drawing on Qur'anic garden references, he investigates not only garden form but also the faith and conduct that admits humans into the Garden. Wescoat focuses his attention on the gardens of Lahore, distinguishing between Mughal and Sufi shrine gardens. He argues that while the former is exemplative of Qur'anic descriptions of paradise, the latter is an example of the theological meaning of paradise because of its ability to stimulate religious experience. Wilkinson, John C. "Muslim Land and Water Law." Journal of Islamic Studies 1 (1990): 54–72. Zaidi, Iqtidar H. "On the Ethics of Man's Interaction with the Environment: An Islamic Approach." Environmental Ethics 3, no. 1 (spring 1981): 35–47. Zaidi argues that the ecological crisis is actually a moral crisis and he demonstrates why the ecological crisis warrants an ethic grounded in a religious matrix that acknowledges a law with divine principles. Zaidi concludes by stating that faith in Islam translates into action, through what he terms "the process of decision-action"—a process that encompasses characteristics such as justice, piety, and knowledge.